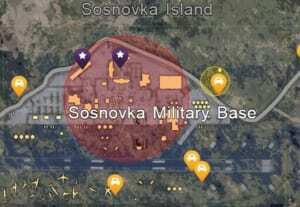 This page contains a guide on the best weapon and equipment looting spots and areas in PlayerUnknown’s Battlegrounds (PUBG), including popular and uncommon locations on the map, area names, typical loot obtained, and the risks involved in proceeding. Playerunknown’s Battlegrounds is a Battle Royale-style game. As such, it often leaves tons of weaponry on the battlefield for you to loot. 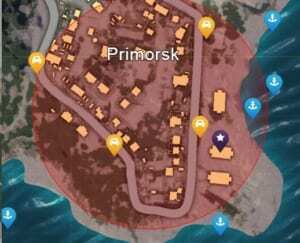 While many houses have average-grade loot, it’s still better to head over to these gun looting spots in order to have an upper hand in the final circle. 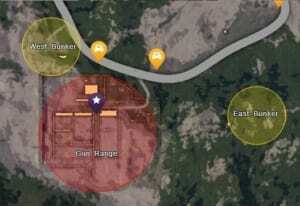 Here are the specific weapon looting spots in Erangel. For specific weapons articles, please check out our complete Weapons Directory, where we have articles on the specific weapon types and models and how they fare in battle. 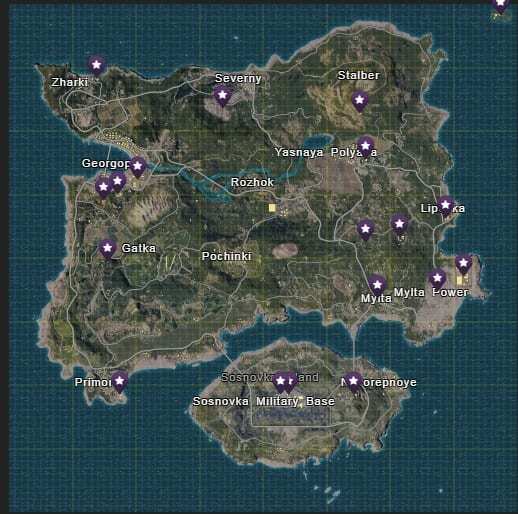 Note: All these maps come from the Playerunknown’s Battlegrounds interactive map, which can be found here. 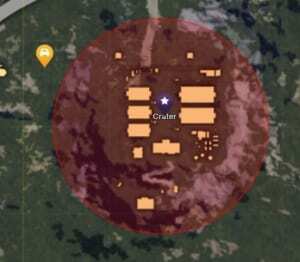 Pictured: Erangel and its best looting spots for weaponry. A small down in the northwestern most corner of the map. The building in question is on the outskirts of the location, flanked by lots of vehicle spawning locations. Southwest of Severny is a trio of structures: the West Bunker, the Gun Range, and the East Bunker. Now, the bunker complex can contain a medium amount of loot, with medium risk of running into another player. However, you should look for the Gun Range for the high-grade weaponry you can find there. 369m from the ruins of Stalber is a building with high-grade weaponry here. This isn’t a high-risk place, but you should be careful all the same, since there’s still a lot of good weapons found here. 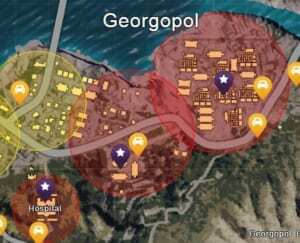 There are three high-gun spawning locations in Georgopol, but they’re all in high-risk areas. The first is in a middle of a massive complex. The next is in between three buildings, and the last one is in the hospital. 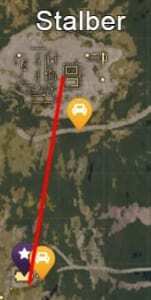 650 meters west from Gatka (about 1:31 mins on foot), is a house that you can loot. It’s best to travel by car, as this area is full of open fields waiting for campers. 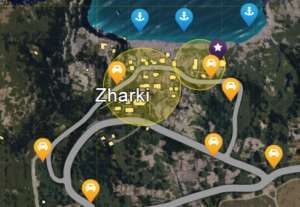 Luckily you can find many vehicle spawning points in the area. The high-grade weapons in the building at the edge of Primorsk is in a very high-risk area. You can try storming the building through the beachfront if you don’t want to sneak through the city. Again, watch out for campers. 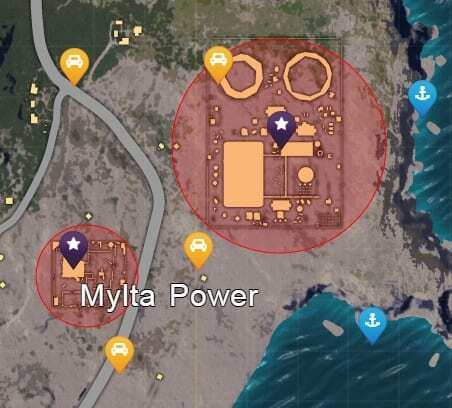 Most of the military base has plenty of loot, but the northern buildings of the the military base have a higher rate of better loot. This is a very known high-risk looting spot, so you have to be very careful. A kilometer’s walk away from the Military Base is a medium-risk area. Near the Novorepnoye radio station is a gun-spawning point. 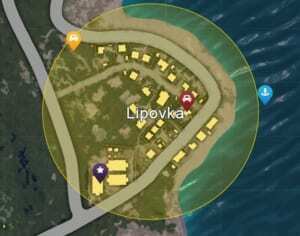 This isn’t as dangerous as Sosnovka Military Base, but you should still take precaution. This weapon cache can be found in a fairly large building at the edge of Yasnaya Polyana. Since the area is high-risk, I suggest taking precautions. This place is on the edge of a city, which means that there’s a big possibility that people will be sneaking into the city. That means that there’s a higher probability that enemies from the east will also loot this building. 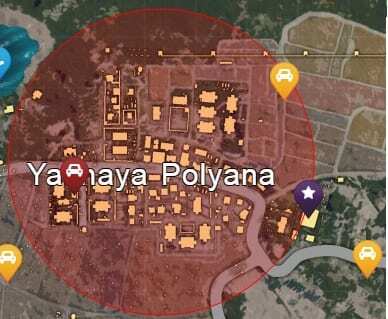 The bunkers 492 meters west from Crater hold a massive amount of loot in its tunnels. However, you can easily pay the price for your curiousity, as this is one of the most high-risk looting spots in-game. You are very vulnerable here due to the noise you’ll make from making even the smallest step. The Crater is nearly a kilometer from the nearest town, Lipovka. It is encircled by a mountain, which gives it its name. This is a very high-risk place and it’s easy to be trapped here. Aside from having a massive chance of obtaining a car in this area, you can also find a high amount of weapons from Lipov ka. Head for the southwesternmost building in the town vicinity and loot that building. This is a medium-risk endeavor. In a rectangular building to the northwestern portion of Mylta is a building harboring lots of guns. This is another medium-risk area, so be on the look out for any campers that might want to profit over your looting. Mylta Power and the Nuclear portion of the power plant are high-risk areas. However, they yield a substantial reward. Be careful that you do not stick to each facility here. There’s a possibility that people from the Nuclear Reactor will greet you with gun fire.